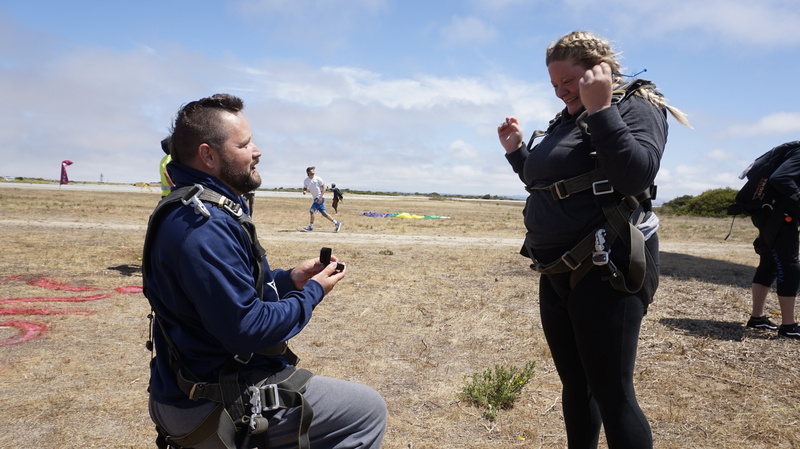 Watch: How a Proposal unfolds at Monterey Skydive - Skyrider Review. Are you trying to think of an extraordinary way to propose? Think no further than skydiving. We had a proposal today and if anyone ever wondered what that looked like, let us take you through it. 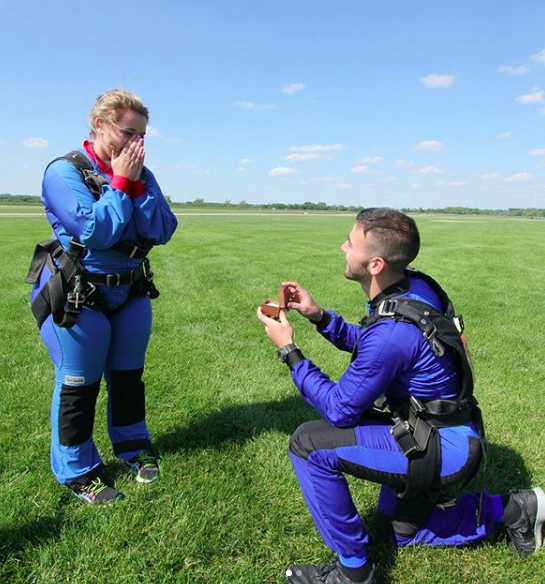 Firstly, they got geared up and went up on the plane excitedly and then he came down first and got on one knee. Then, she came down to the view (see second picture) saying “Claire, will you become a … Pearson?” (that’s his last name for all those that are following). She said yes, and there may have been tears involved (on our end). Also, perks: you get your own videographer capturing the special moment if you pay for the photo package! And, since everyone usually pays to get videos and photos of their first jump, you’re already going to have a team of videographers ready to capture your special moment! 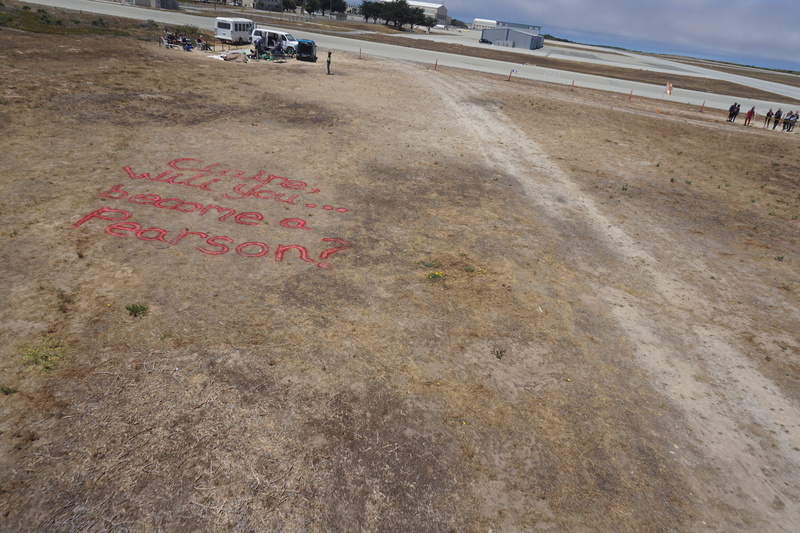 To discuss how we can take your skydiving proposal to the next level! We can tailor to what you’d like to do and provide you with a list of ideas as well.